Doors: 9:00pm 19+ w 2pcs ID. 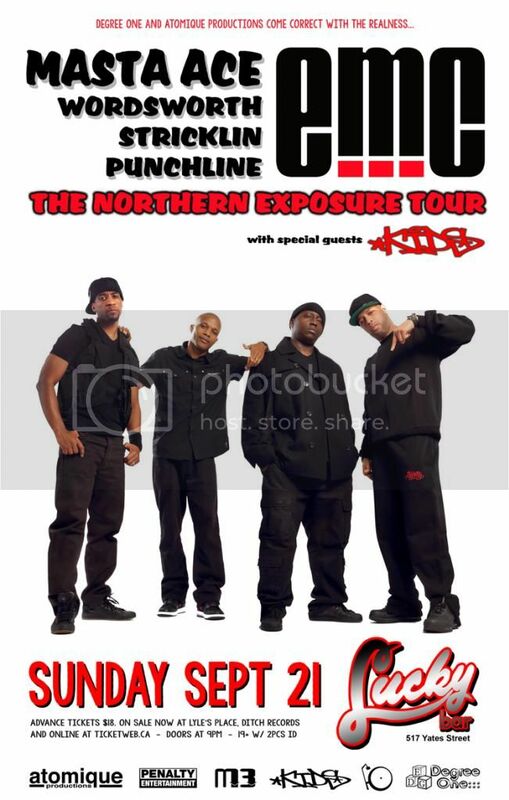 In 2008, Masta Ace, Wordsworth, Punchline and Stricklin formed eMC. The self-proclaimed supergroup debuted The Show to high praise but subsequently put the brakes all activity after an international tour. Now, following a sufficient hiatus, they’re back with new album The Turning Point and they’re heading to Band on the Wall. Great rhymes plus great beats equals great music! This is the formula and creed that these four emcees have chosen to live by.